Posted on July 27, 2010 July 10, 2011 by Marty Schoenleber, Jr.
For first thoughts click here. Gaebelein, in Expositor’s Bible Commentary Series. Will utilize Anchor Bible commentary by Boling and Wright when I am on campus for issues that these six don’t solve. Glad I have Logos software to help with translations and parsing. My own exegetical study guide (See Radical Church Planting in mid August for the downloadable workbook) is already very helpful for my translation and study notes. Figured out first five message passages. This week will be taken up with all the final preparations for my son’s wedding on Saturday and the before and after-wedding festivities with family in town. 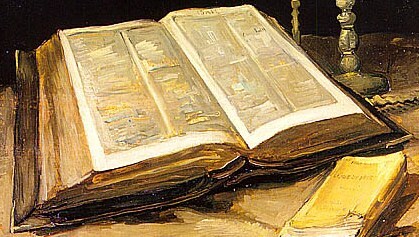 I’ll begin studying the Hebrew text and the “brooding process” over the text on Tuesday August 3. Looking forward to refreshing Hebrew skills. Will begin praying 1:7-9 into my spirit Tuesday June 27. Only be strong and very courageous, being careful to do according to all that Moses my servant commanded you. Do not turn from it to the right hand or to the left, that you may have good success wherever you go. This Book of the Law shall not depart from your mouth, but you shall meditate on it day and night, so that you may be careful to do according to all that is written in it. For then you will make your way prosperous, and then your will have good success. Have I not commanded you? Be strong and courageous. Do not be frightened, and do not be dismayed, for the Lord your God is with you wherever you go. What was Jesus Passionate About? Marty, I am very thankful to be a lay speaker rather than a full-time preacher! With several weeks to prepare, I can let the scripture stew in my mind for a long time until it is well done. And I am thankful for the work of the Holy Spirit both to prepare my heart and mind and the resulting words, and to prepare the hearers so they can overcome my presentation shortcomings. The Lord Provides … even for a professional layman! May God use you mightily. Pray for me that he might yet do the same with me.